This model, with its scratch-resistant sapphire crystal, features a blue dial with a date window at the 3 o’clock position. The blue unidirectional rotating divers’ bezel is mounted on a 37.5 mm titanium case and is presented on a blue rubber strap. The OMEGA Seamaster Planet Ocean 600M is water resistant to 60 bar (600 metres / 2000 feet), and has a helium-escape valve. 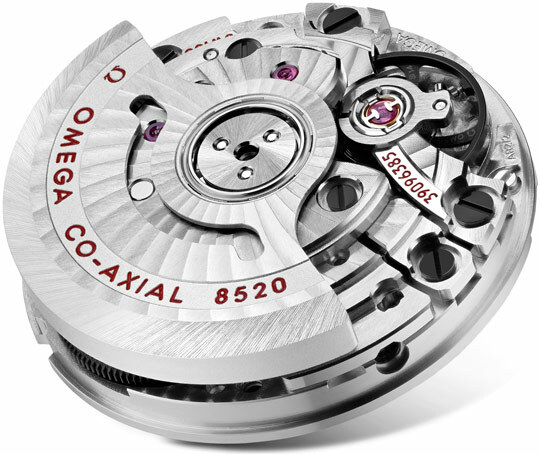 The OMEGA Co-Axial calibre 8520 is at the heart of this certified chronometer.